It's Friday, it's Christchurch, it's a whole new adventure. Said goodbye to Bec for a couple of weeks and set off with Matt and Chris to Christchurch, the garden city that suffered 80% damage in the earth quake five years ago. The chaps pampered me, for which I am eternally grateful, and before we met the politicians we lunched at a vege place that reminded me of the great food back home in Todmorden. Wonderful salads and great coffee, all a girl needs to prepare herself for whatever lies ahead. I needn't have worried cos the politicians I met were encouraging and kind and I even heard the words 'an edible garden city' at least that's my story and I'm sticking to it. We toured around the place where open lots tell the story of the devastation of 2011 but amazingly, the council have really got behind meanwhile spaces and pop up enterprises are all over the place. Cafes, art installations and urban gardens are being encouraged and though the people here have been through the ringer, not recognising their own city at times as damaged buildings are raised and new buildings rising every month, you can almost taste the sense of opportunity all around. 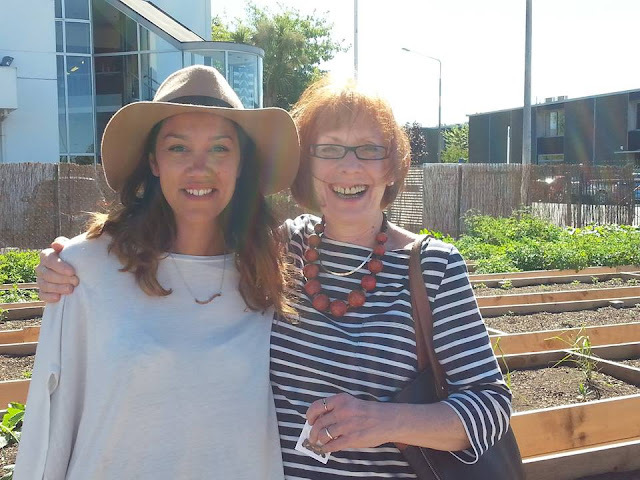 One to watch in particular is Kakano cafe where Jade Temepara is leading the project to grow food from dozens of raised beds in a vacant lot and serve it up with families from the community in her cabin cafe. We also went to Cultivate , a few lots over where vegetables of every kind are being grown by Simon and other young and passionate growers. 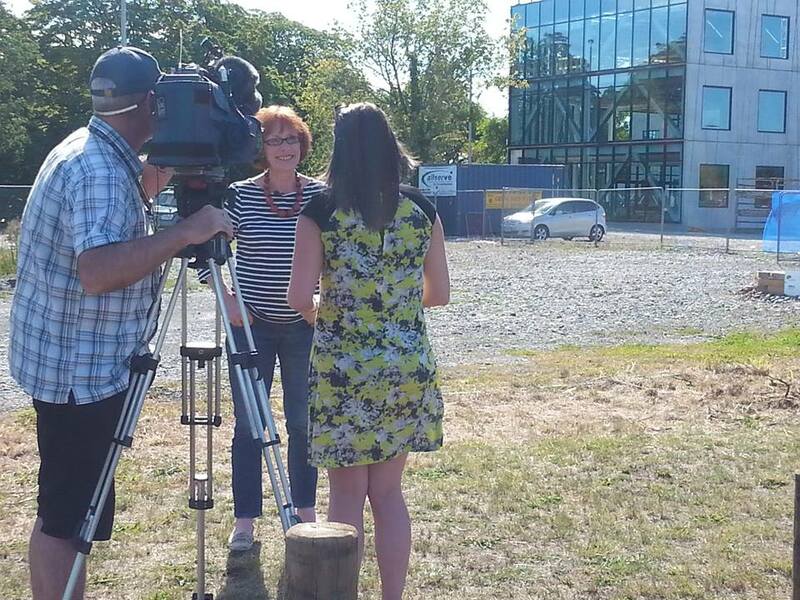 Did thing for the tele in a bare site that with the help of crowd funding and the leadership of folks like Matt from the food resilience movement will become The North Frame Community Garden , an exemplar growing and learning site right next to the river. The it's off to the divine Lyttleton, an town by the sea that like Narnia, except there's no wardrobe you reach by going through a tunnel into another world. Dinner with the inspiring Project Lyttleton at their community garden which has filled my head with so many ideas from their particular take on Time Banking, to their community funding scheme based on a Scandinavian model called Yak. Need to write a whole separate blog on this another time. Again we walk round a town, two and a half thousand people, that was at the epicentre of the earthquake, and hear the stories of people's sadness, strength and courage , with a reminder of what went on five years ago as we felt another slight tremor under our feet as we walked.